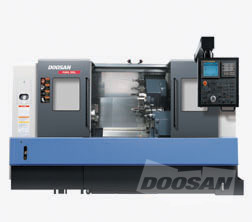 Doosan Infracore Machine Tools started with the Changwon factory in 1976. Then entered into the global market in 1981 and providing superior quality, technology, and products to customers all around the global. Doosan is strives continuously to lead the industry and is on a path to become the "Global Top Brand". ABLE Machine Tool Sales Inc. Heroes del 47 No. 1400 Nte. Suzhou ADK International Trading Co., Ltd.
Shanghai Dinggao CNC Equipment Co., Ltd.
Electronica HiTech Engineering Pvt. Ltd.
Doosan (Daewoo) Infracore Co., Ltd.